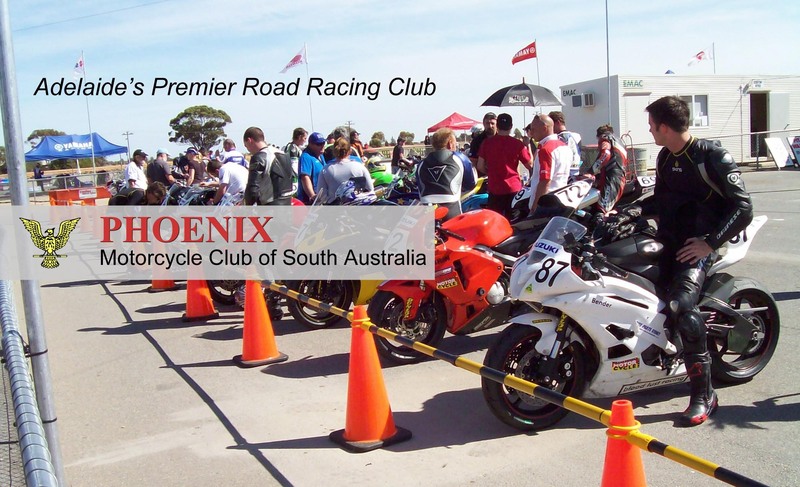 I am an old Phoenix Club member from the early 70′s (before that I was a Southern Cross member in the 60s) and now live in Wollombi in the Hunter Valley in NSW. I was in my early 20′s when I was racing and attending Adelaide Law School. Most people knew me as ‘Rick’ or ‘Biggsy’ or ‘that idiot’. I’m nearly 53 now and have always had bikes even when I lived in Greece and Papua New Guinea. So many names I have forgotten but there were some very interesting people who cut across the usual demographic; jazz musicians, artists, a couple of professors, a Honda dealer (who surprisingly gave me a new bike once after I blew one up racing, I hadn’t even bought it from him and, as they say, racing voids the warranty anyway) – all good mates. He was killed on the Gorge road on a Yamaha although he mostly rode an immaculate Dunstall Commando. All had a common interest in fast road racing, mostly on the track. Some older members may remember my spectacular crash over a cliff while leading a Lobethal run on a Honda 400/4, sans gearbox @ 14,000rpm. As I went over I looked down to see a guy below me chopping wood with an axe. He was looking up in full swing as I flew across the valley. Another crash that nearly put me off was after Bob Green and I had shared a trailer out to AIR. We both had TZ’s at the time. We had to stop on the way out to straighten the bikes when a tie down came loose. Later, at the end of the main straight at full blat, the front brake locked so hard it collapsed the front forks. One of the cable rods had bent in the trailer causing the main cable on the double leading shoe drum brake to snap and wrap around the axle. Miraculously I went straight up the runoff and only tipped over when I forgot to put my foot down after coming to a stop! The ride from The Eagle to Lobethal was good fun and a long tradition going back to the days of the hills public road racetracks (there was at least one Australian GP run up there). Some people used to drag out their deckchairs to watch at vantage points along the way, but in reality it was dangerous and many people were killed or seriously injured. Carl Hammersley, an SA champion, was killed on one such practice ride while running in a Pitmans proddie bike. I must have fallen off on just about every corner all the way to Lobethal at one time or another. Sometimes it could be amusing such as when the Ulans or some other outlaw group turned up at The Eagle and tried to keep up. There were Harley Davidsons, army greatcoats and matt black helmets in the blackberry patches, up trees and littering the verges all the way to Basket Range. I remember one story about an attractive young woman who rode a Ducati. She was determined to be taken seriously by the blokes and one day she fell off right in front of Bob Green, who couldn’t avoid the melee and rode his Kawasaki 900 right over her head. Afterwards she said she was quite proud of her white Bell helmet with a distinctive Dunlop TT100 tread pattern across the top. I think Bob was just happy not to have wrecked the Kawasaki. In Wollombi where I now live there is a sort of contemporary version, the twisty forest road being a Mecca for Sydney, Newcastle and Central Coast riders. Nearly every weekend somebody is killed or seriously injured and the noise of screaming eagle Harleys is as offensive as their owner’s riding style. If I feel like going for a scratch I go further afield away from the hordes. Wollombi pub can have over 1,000 bikes parked out the front on any Sunday. One of my older friends, Dennis Brown (an ex manager of the Birdwood Museum oddly enough and ex Gus Kuhn Manx Norton racer/mechanic) is in the local volunteer bush fire brigade and attends the serious prangs ..he reckons he could build a 999 from all the bits he picks up. In a short career of a few seasons I raced against most of the names at the time with little success. I had an ex works Yamaha Europe TZ B that Bob Jolly brought back after a season in the ‘circus’. It had so many extra transfer ports it really did look like Swiss cheese. It was fast alright but problem was reliability. I would have to straighten the crankshaft after every race and in the days of push starts it had a disconcerting knack of starting backwards, causing chaos on the grid. I don’t think I ever got a clean start and was always having to climb back through the field. I always thought if the races were a bit longer.? The vibes on the twin were so bad (power was between 8,500 and 13,500) that my fingers and toes would become numb. I did a 3 hour race once and came in to find I had worn through my boots and my toes – I couldn’t feel a thing! I saw Bill Horsman snap a brand new, very exotic, very expensive square four Suzuki in half at Mac Park, it was in two pieces! I did feel sorry for him, he looked totally gutted. Willing was not as smooth as Hansford who was not as smooth as Toombs who was the master stylist. I saw the latter killed after he hit a tree spearing off the mountain at Bathurst. It was rumoured he lost it after his tuner over enthusiastically attended to a more intimate ‘motor’, not built in Japan. I have a vague memory of Burgess. I remember a guy with a TZ700 and white leathers but whoever that was, they were pretty quiet. Carl Hammersley would never pass a drug test today! He used to roll big fat cheroots before every race but was atypically and shockingly fearless. I saw him overcook a corner at Mac Park once (I think he had a TZ then) and off he went into deep sand and bracken. Typically he kept the throttle open with a big rooster tail but I thought ‘thats the last I’ll see of him’ as he disappeared into the trees, only to find he had managed to ride right across the infield and had rejoined on the other side, without losing a place! My racing ended when the big two strokes started to dominate. They would spoil your line and wallow around in the corners but had overwhelming straight line speed and they cost a small fortune to buy and run. Too much for a student, even with scholarship and extra income. It started to become too professional and you needed more Pitmans discounts to be competitive. Also, I was finding the rebuilding and tuning time consuming and boring. I should have stuck with proddie bike racing but I went travelling instead. My racing highlight was seeing Giacomo Agostini impossibly passing around the outside on the MV at Laverton. I heard the four stroke backfiring behind me but could not believe anybody could pass like that, especially on a rather fat bike. Glorious, and he’s still alive! A final reminiscence is Ken Blake in the late 60′s. I lived at Aldinga Beach in those days and had one of the early Norton Commandos. Blake held the record Strathalbyn to Adelaide in well under an hour. I think it was on a Triumph Bonneville. I tried very hard but never came close to matching his time. Maybe it was an apocryphal story but he was a legend and everyone believed it. In those days the hills were fairly empty, although I remember a fat Frenchman from Port Noarlunga on a BSA Rocket 3 who hit a bull near Milang. Wrecked the bike, but the bull was angry and mauled him to death. But that’s another story.